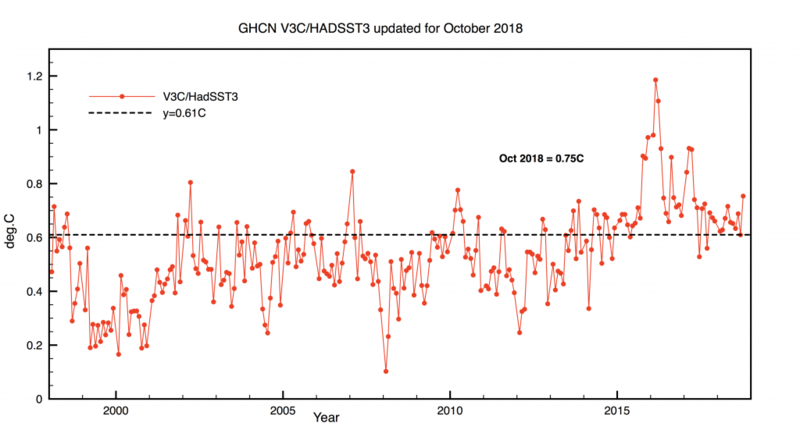 Global averaged temperature for October 2018 was 0.75C based on merging GHCNV3 with HadSST3 and using spherical triangulation. This is a fairly large rise of 0.14C since September. The baseline for temperature anomalies is always 1961-1990. 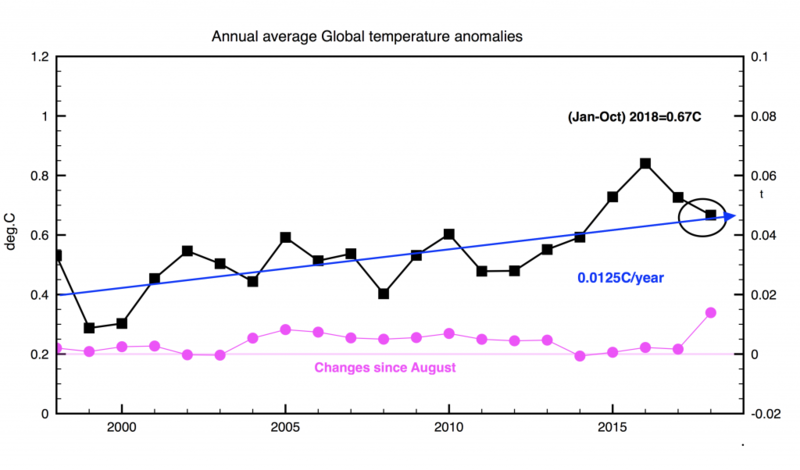 The annual value for 2018 (10 months) is now 0.67C and 2018 is still on track to be the 4th warmest year. A comparison with last month however shows that continuous small adjustments also affect past years, presumably as GHCNs homogenisation algorithm evolves. These deltas are plotted in magenta below. Last 20 years of annual temperatures. 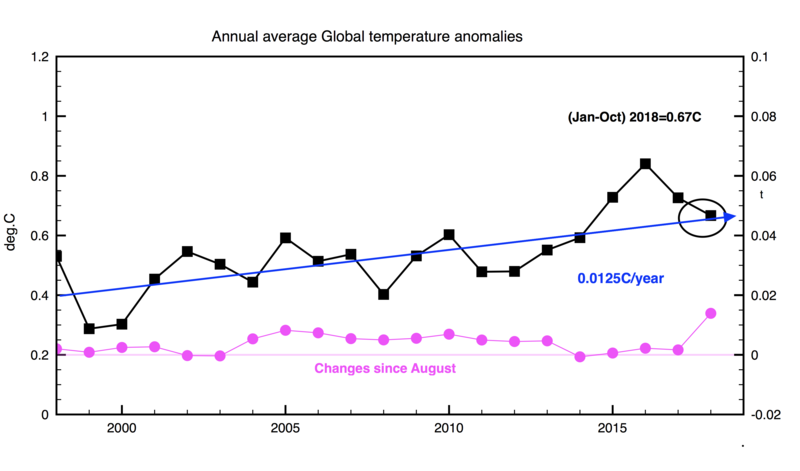 The lower graph shows the annual changes since September plotted against the right hand y-axis scale. 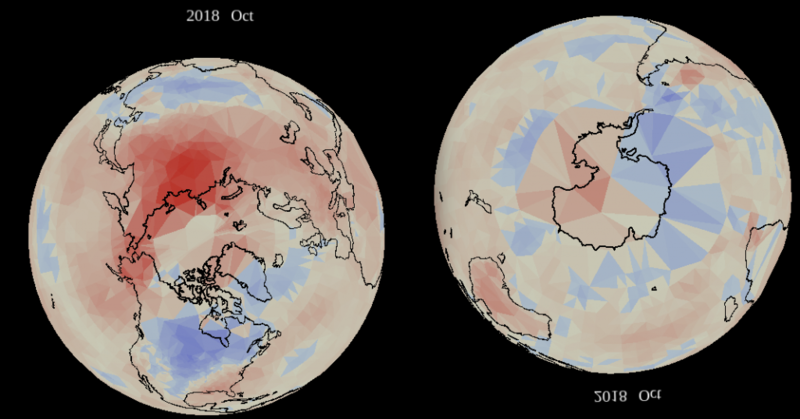 Here are the temperature anomaly distributions for both hemispheres in October. This entry was posted in Climate Change, climate science and tagged global warming. Bookmark the permalink.